Hi and welcome to my little place in the world! I like to think of myself an artisté, which started as a joke, but in reality aren’t we all? Artists in our own little environment, if not, in the bigger picture?? I have been married to my best friend and my biggest cheerleader for over 25 years. We enjoy living most of the year in Grand Rapids, Michigan, summers in northern Michigan and some part of the winter in Anna Maria, Florida. I like to say I am a stay at home Mom, but all my kids have grown up and gone…. I am very fortunate to have a beautiful studio in our home, to dare to dream, design and constantly clean because I am a terribly disorganized creator! I love surrounding myself with all things colorful and taking pictures of those things and maybe a few more, whether it be fabric, food or nature. Health, wellness and fitness are a big part of our lives. Love traveling and road trips, spending time with our children and grandchildren, soulshine, sunshine and maybe even a little moonshine…. 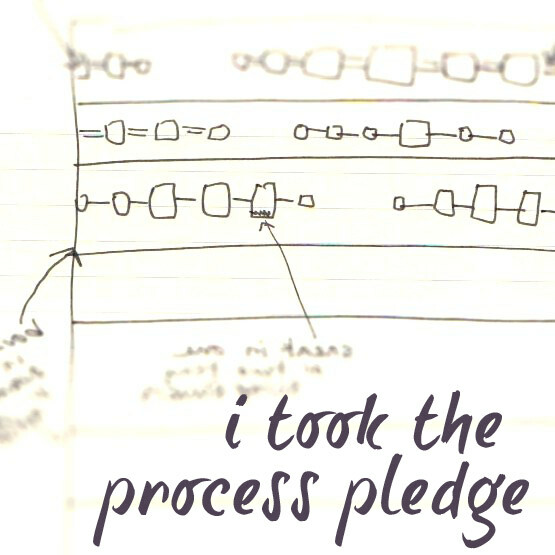 Hmmm, that sounds like a song…. We love music, too! I get a huge kick out of your comments, so bring them on! If you have a question, please leave it in the comments section, as well, and I’ll kindly answer. I think I hurt my back really bad last week on my rebounder! I was searching online nd came across a message you had written on a forum about hurting your back on the rebounder. I was wondering if the pain you experienced was in the middle of your back on your spine area? I am in excruciating amounts of pain and am waiting on a doctors appointment… I am not sure what I did wrong!? This is Karen at Nana Girl Quilts. You were a no comment blogger so I couldn’t respond. Thanks for the comments on Going Home. You can find the schedule at navyquilts.com. Thanks for stopping by. Hello! I can’t figure out how to leave a comment, but wanted to share that I LOVE your bubble quilt! It’ so yummy, happy, creative!!! I am curious what city is the best city in Michigan. We go every year to Watervale, south of Traverse City. It might be the best! And I love Sannibel Island on Florida!!!! Anyways, thanks for sharing!! We love Watervale! Love the “back in time” feeling of it all. I mean, who still serves tomato juice as an appetizer? The Blue Slipper is another favorite over that way. Never been to Sannibel Island, maybe we should? LOL! And I can’t see where to send you a message! Thank you for the quilt comment, it was fun! Hey, thanks for visiting my blog and sending me a couple messages. So glad you got to enjoy the Milwaukee Art Museum. Isn’t it amazing?! And you got to see quilts there! How nice for you. 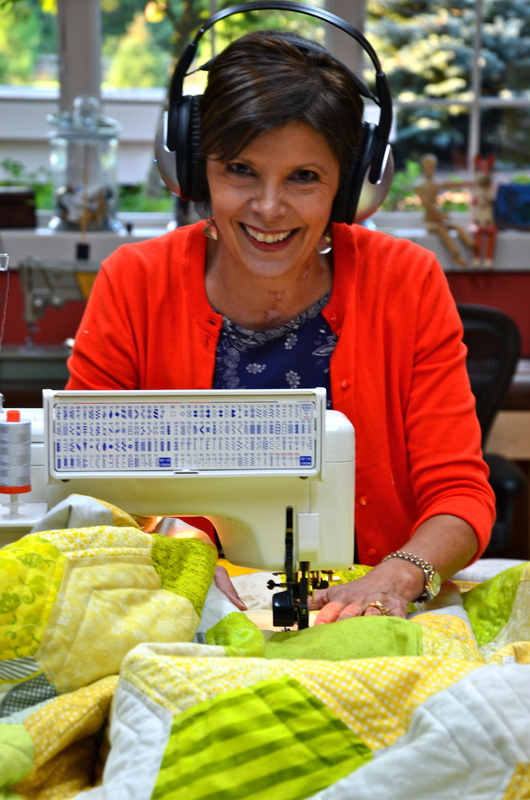 I love this picture of you quilting and listening to headphones. The quilt is gorgeous, too. I’m glad to be connected, and would like to compliment on your great work of art. Great Circular Quilt. Look forward to sharing as I’m just starting. All the best! Thank you and Welcome, glad to have you here! Okay, checked out your page, and Michigan! Yay! My husband grew up in Windsor, (basically a suburb of Detroit) so he is half a Michigander, or more, lol, in his mind. Huge Lions fans, we are, as a family, and Tigers, too, even Red Wings. And Anna Maria?!! That was the first place we ever stayed in the beautiful state of Florida, where we now spend 4-5 months of our winters, (but our house is a little further south on the mainland). Nice to meet you! Lori, I was so thrilled by your comment on my blog this morning…smitten with the mitten is what we are too and I also hope that sweet town stays a secret!! Blessings to you! !